“Funky” is the new “trendy” when it comes to modern casual seating these days. With fashion houses, well known designers, and brands entering the furniture world, statements and designs that stand out are only natural. Roche Bobois introduced their “ Mah Jong” modular seating in the 1970s by Hans Hopfer . 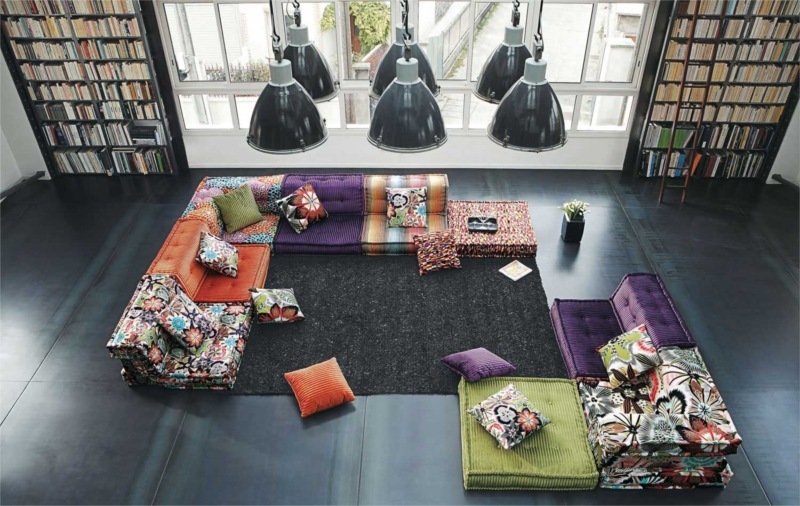 After working with Kenzo maison and Missoni home on several fabirc finishes, this year Roche Bobois decided to work with Jean Paul Gaultier . 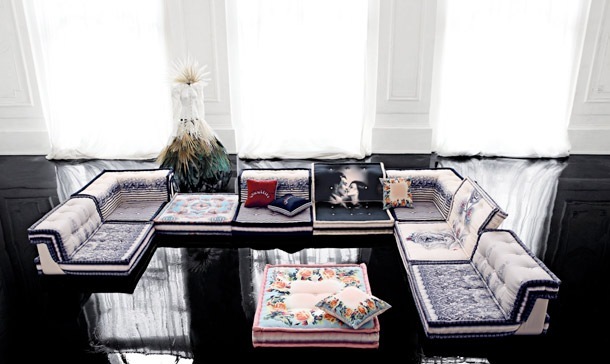 Roche Bobois presents its vintage Mah Jong sofa, in a new “bleu blanc rouge” look as opposed to the very colorful fabrics of Missoni and Kenzo. Personally I loved this years edition of this sectional. 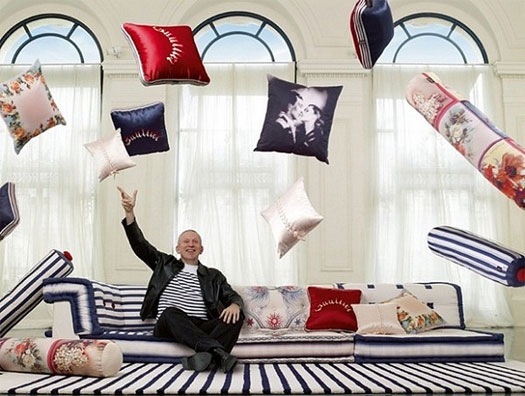 In addition to the Mah Jong, Jean Paul Gaultier worked on numerous items as part of his collaboration with Roche Bobois. 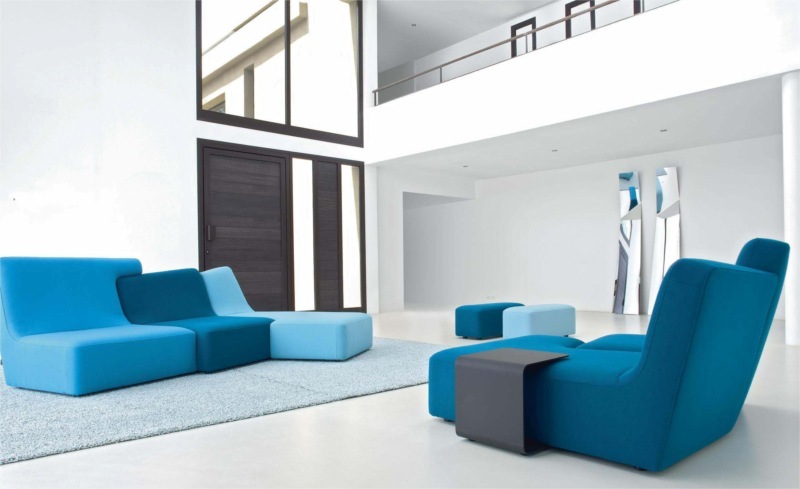 The Mah Jong sectional, like modernism itself, has never gone out of fashion. 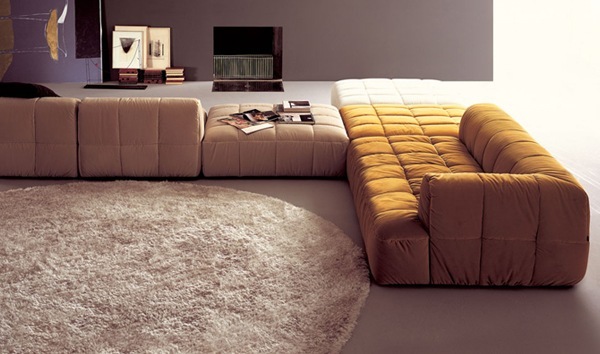 Another very attractive, modern, and hip sofa is the Confluences designed by Philippe Nigro for Ligne Roset. “Confluences may be considered to be a trailblazer in terms of the new trend for ‘counterforms’ as characterized by the interwoven yin-yang or puzzle-type effect. It will be just as pleasing to lovers of radical design, pioneers searching for a sofa which is totally different from any other, as it will to all those who are seduced first and foremost by the freedom of posture and unheard-of conviviality offered by its colorful, unbridled compositions.” You can get in monochromatic colors as shown or play with the colors and composition.Confluences was introduced by Ligne Roset during the 2009 Imm Cologne Fair. 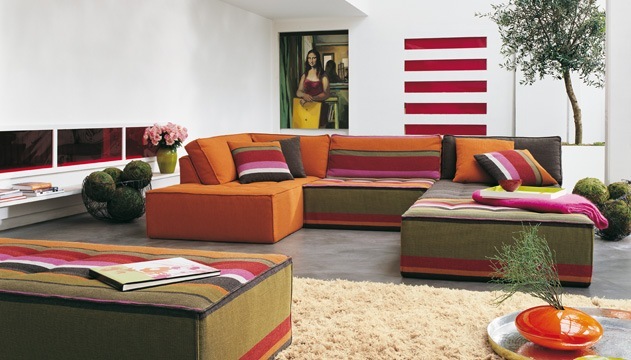 You will notice most of the “funky” sectionals are by Roche Bobois, this is partly related to their collaboration with Missoni Home who are known for the colors, patterns, and stripes. B&B Italia Have this very cute sofa, which has a variety of hip colors as well, the poufs and various armchairs from the same line you can add with it create a very distinctive and fun look, yet still using top of the line furniture. 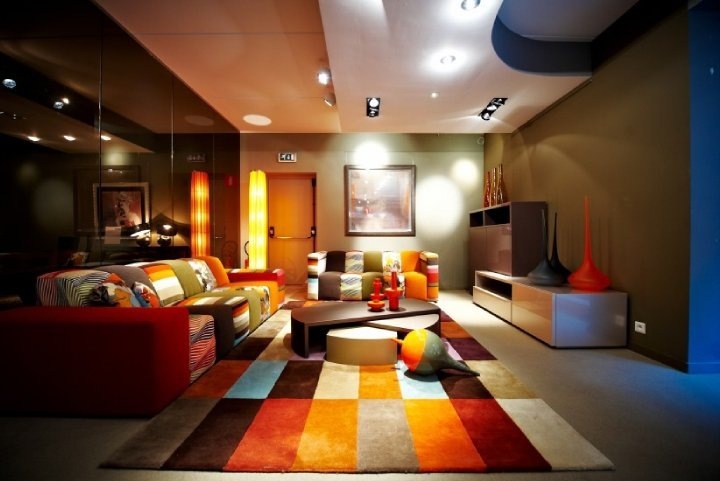 This is also an amazing sectional by Arflex, with lots of flexibility regarding colors, dimensions etc..